I am entranced by this small figurine, known as the Venus of Willendorf. I began drawing and painting her twenty years ago. I saw her in a museum in London and bought the small reproduction they had. At the time I knew little about her. I like going to museums and being with the pieces, art or antiquities, not reading about them until much later, if at all. Most of the time it is a visual experience for me, and I don’t collect that much from the bits of words written about this or that. I saw her in an exhibit with several other ancient images, some nearly pornographic (or so I have been told, as I drew and painted them.) I was able to just sit with the mystery of why this voluptuous figurine had a bee-hive head, as I saw it. I sketched her in my hotel room at night, and carried her home in my purse. This image of the ancient goddess is from Wikipedia. I wanted to plant a larger statue of her in my garden, as an homage to the bees, wondering in a Tom-Robbinish way of there was a bee-goddess I did not know about, and if the bees would tell me their story if I planted her there. For a short time my small reproduction lay in the bird bath in the middle of the herb garden, and I would watch the bees land on her when they were going for water in the height of summer. I began drawing and painting her, and soon had a collection of other goddesses with pendulous breasts and large hips and buttocks. Living with her in drawings and smaller painting culminated in the large painting above, which I call Conch Woman. She is dark of night, mysterious, of water and land, a comfort. She waxes and wanes, on her own rhythm. I love her! I finally read a bit about her discovery, and thought about her covered in red ochre. Blood, fertility, seemed likely, when women held the secret to procreation. She was found on an archeological dig near the city of Krems, Austria. 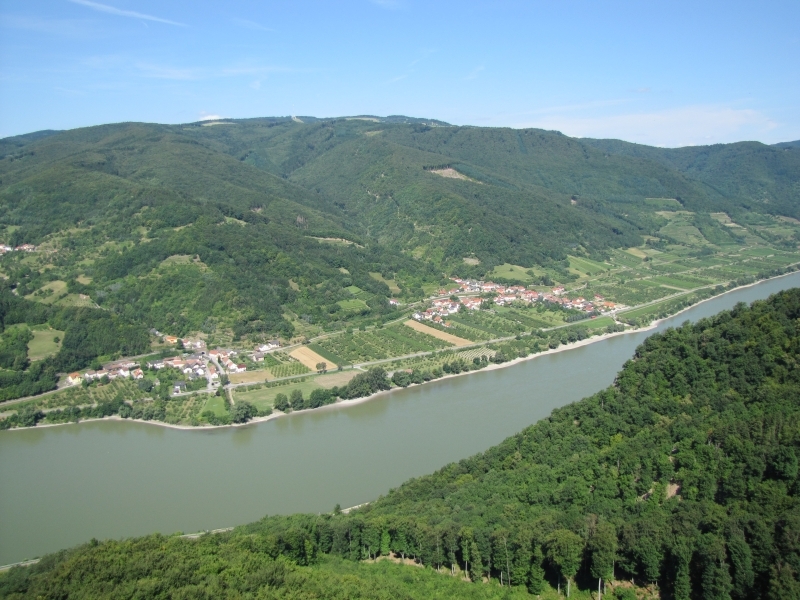 In writing this today I went in search of an image of the area, and found that is near the rivers Krems and Danube. I also began collecting pendants, and when I made my jewelry line she was a prominent figure. 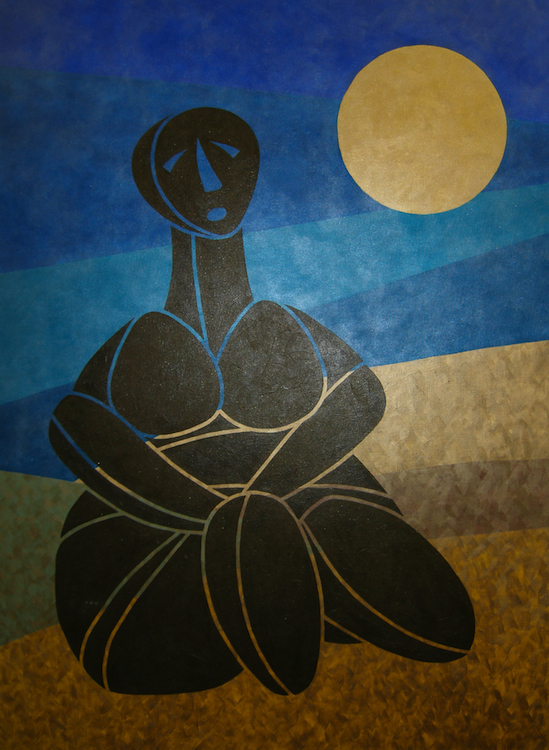 Sadly, not one of her images had ever sold; I assume that women do not value her fat body shape, as they see it. Some of the pieces are below. The lovely bronze image of her (bottom left) is my favorite, hung on vintage Italian whitehearts with African bronze “clubs” flanking each side. I bought her first and only bought two, and could never find the vendor again. The earthy autumn colors of unakite, a type of jasper, sets off the Jane Iris version of her top left, a bit tame and petite but lovely nonetheless, and she is also shown hanging on pearls, and in bronze on carnelian with Balinese spacers. I wanted to create a necklace as beautiful as I found her to be! And the chunky pewter pendant on tumbled turquoise nuggets center left may or may not be her; there are other “venuses” though I think this one is a version of her. A year later I did a version of her that I saw as my grandmother, floating in the San Joaquin Valley amidst farmland. She is a cross between Willendorf and Hamangia, sunny now, spent making the corn grow, and I see her there as I did that late fall day driving through burning cornfields. My images/blog posts can be reposted as long there is a link back to zenkatwrites. All images ©D.Katie Powell. Permission must be granted to use my images and they must be linked to http://www.dkatiepowellart.com. 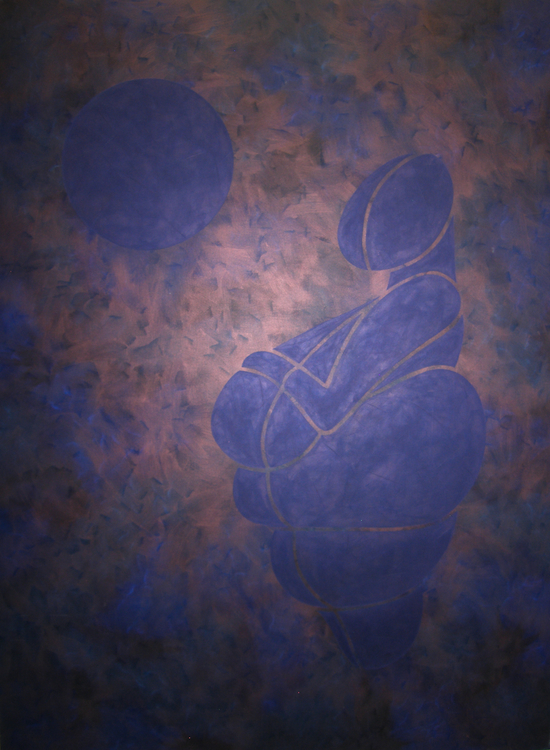 This entry was posted in art, autobiography, process and tagged anthrolopogy, beehive, bees, breasts, fertile, goddess, hips, tummy, venus of willendorf, voluptuous women. Bookmark the permalink. This bit of writing is a crossover piece, because it involves my artwork and my jewelry pieces. I minored in anthropology and don’t remember ANY goddesses . . . Bye Mary! Katie, I love the way you synthesized your artistic and literary talents in this beautiful post. Your paintings and jewelry are exquisite and inspiring, as are your words. Thank you for sharing. I can’t wait to read more! I love this image and I too have fought my weight. Your jewelry is wonderful and would love to own a piece. THANK YOU! Me too. My husband likes women with a boom to their body, thank goddess. My Willendorf’s are mostly inexpensive, between $35-$95. I am happy to extend to my readers the 50% off coupon, which is “50OFF”.